World Health Day 2019 is observed worldwide on 7th of April. It is also a day that should remind Canadians that the health care system in Canada continues to be a racialized system that is evidenced in the poor health outcomes of First Nations as opposed to the country’s non-indigenous population. “The health conditions generally in First Nation communities do not represent equitable health with the rest of Canadians. In fact, there has been a lack of follow-through on Reconciliation as a catalyst to health partnerships,” said Isadore Day, CEO of Bimaadzwin and former Chair of the Chiefs Committee on Health at the Assembly of First Nations. “This lack of commitment is glaring and is proving to show through in the federal government’s poor funding of critical issues like responding to suicides in First Nations. Just like 2018, the theme of World Health Day 2019 is Universal health coverage, according to the World Health Organisation. WHO sees its key aim to ensure that everyone can obtain the care they need, when they need it, right in the heart of the community. WHO chose “Universal Health Coverage” as the theme for World Health Day 2019. Steps are being taken to achieve Universal health coverage for everyone, everywhere and the slogan is “Health for All”. Bimaadzwin and our team aim to work with First Nation communities to advance their Nationhood objectives in all sectors, including health governance and community planning. Contact us for information and how to get started on making First Nation Health Transformation a reality. (Toronto – October 23rd, 2018) Isadore Day, CEO of Bimaadzwin, congratulates newly elected and re-elected municipal leaders across Ontario. To those that served and were not successful or decided to step back and let a new generation lead, they too are respected and acknowledged for their sacrifice and contribution. “Serving local interests and addressing the needs of the people at the community level is rewarding overall and will always have its challenges – that goes without saying. Finding ways to work collectively with other jurisdictions and finding mutual goals is something that should never wait until a region is in the midst of a crisis or emergency,” says Chief Day, who spent 15 years as an elected First Nation official in his community of Serpent River First Nation, and is former Regional Chief of Ontario. “This year when the PCs defeated the Liberals in Ontario to form the next provincial government, political priorities became altered and a new focus would see a diminished Ontario Reconciliation agenda, cap and trade, and many social programs that were making a ‘quality of living’ difference for Ontarians and First Nations. An inevitable response: find a way to address issues at the local and regional level with strong and strategic partnerships. “The reality is that we rely on local leaders in First Nations and in municipalities across Ontario to address the standard critical issues facing regional populations and communities. These critical issues include economy, procurement, employment, regional services and infrastructure investments. But the big question in everyone’s mind is, will we survive as a human species 20 years from now?” questions Chief Day. Failure of local governments, First Nation and municipal leaders to come together, results in ineffective regional clusters of communities unable to realize their collective strengths and opportunities. Far too many times, local governments fail to build necessary bridges beyond community borders, resulting in missed opportunities like making necessary impacts on the global level like trade policy, national energy policy, and the scariest issue of our time – altering the impacts and uncertainty of climate change. Chief Day also says that building bridges between municipal and First Nation governments will take education, awareness, understanding the different histories and governance structures, setting priorities, and creating a partnership tables, and making investments of time and effort. Ultimately, joint effort and action plans are far better than having no plan at all. That purple haze that you see in the air is not from next week’s long-anticipated legalization of cannabis. Don’t let the “where, when and how” Canadians can get legally high be a smokescreen for the two very real issues of the week that have so far dazed and confused any real response by our leaders on how we are going to save our planet. First off, the United Nations Intergovernmental Panel on Climate Change (IPCC) released this past week a real wake-up call of a report which warns we have at best just 12 years to get our global act together in order to minimize the increase in world temperatures. A two-degree rise in temperature will be catastrophic for everyone and all living beings in the world – from droughts and forest fires to rising oceans that will flood major cities. Carbon pollution needs to be cut by at least 45 per cent by 2030 – and that’s only 12 years away. Prime Minister Trudeau and Environment and Climate Change Minister Catherine McKenna have been tweeting this week on how Canada will live up to its obligations to the 2016 Paris Climate Change Accord. Environmentalists have been retweeting, “hey, didn’t you guys just buy a pipeline?” One barrel of crude oil produces 317 kilograms of carbon dioxide. Maybe “the world needs more Canada” but the world does not need more Canadian produced carbon pollution. We need to de-carbonize the atmosphere – not add more certainty to humanity’s demise! Also, on Thursday, the Supreme Court of Canada ruled that the federal government does not have a duty to consult First Nations when it introduces legislation that may affect constitutionally protected Indigenous and Treaty Rights. As the former co-chair of the AFN Chiefs Committee on Climate and the Environment, this is why I resigned from the last two years regulatory review as the AFN’s lead. At the time, we were supposed to be “co-drafting” legislation with the federal government. Then we were told that due to Cabinet secrecy, we would not be able to see the final version of legislation before it was introduced. This is not consistent to a Nation-to-Nation relationship – and one of the reasons why the recognition of rights Framework is being fiercely repelled by the majority of Indigenous Peoples and First Nation communities across the country. How do any First Nation leaders within Crown government paid organizations respond without threat of funding cuts? What is the key message we need to hear from these organizations? Climate change literally is a burning global issue. It requires a real collaborative effort between all levels of government, western scientists, our traditional knowledge keepers, and all our citizens to see the real change required to save this planet. Indigenous communities are at the frontlines and feel the greatest impacts of climate change. Weather conditions prompted our First Nation leaders to raise concerns this past winter about the impact to winter roads and access. These roads are the life lines for food, fuel, and other necessities in dozens of northern communities. Since time immemorial, Indigenous peoples have been the stewards of the lands. Despite the many attempts to colonize our ancestors, we are still here and every day we continue to practice this stewardship. It’s time for real work on the Nation to Nation relationship. Our leaders need to pull their heads out of the sand right now. Now, more than ever, Canada needs First Nations at the table. The world needs Indigenous peoples at the table. For the sake of our children, we must stop polluting the air we breathe, and the water we drink. We must end the insane proportions of fossil fuel extensions into the global economic framework and de-entrench toward a reliance on clean, renewables and technologies that reverse carbonizing the earth’s atmosphere – for that we need real courage and real leaders. Isadore Day, Wiindawtegowinini, is the founder and CEO of Bimaadzwin. Erin Mathews, Isadore Day, and Tito Domoto attend the FNEAC conference in Toronto on September 20, 2018. (Toronto, September 21, 2018) Cannabis and climate change were just two of the urgent topics explored at this week’s sold-out First Nations Economic Advancement Conference (FNEAC). There are almost limitless long-term economic opportunities for First Nations in both the emerging cannabis industry and combating the effects of climate change. Isadore Day, founder and CEO of Bimaadzwin, moderated both the cannabis and climate change panels. An electronic survey conducted following the cannabis panel showed the majority of First Nation economic development officers in attendance stated their communities are currently involved or are open to partnering with established cannabis companies. The Canadian Securities Exchange, which attended the FNEAC, reported that it has outperformed the Toronto Stock Exchange (TSX) since late last year as a result of increased investment in cannabis companies that focus not only on recreational use but medical, health and wellness aspects. Companies such as Long North Capital are focused on exclusively raising investment funds for First Nation communities. “In terms of climate change, we’ve seen a huge number of wildfires from northern BC to northern Ontario. In fact, as of this week, there are still 180 out of control forest fires across the country,” said Day. “Our Peoples must be front and centre, not only in combating fires, but ensuring that Canada and the world acts now to end global warming before it’s too late. The number one solution is reducing greenhouse gas by ending our reliance on the oil industry. The climate change panel featured Dr. David Pearson of Laurentian University, who co-chaired the Ontario Expert Panel on Climate Change Adaption. He is currently working with First Nation communities in the far north who are assessing the impacts of climate change. Dr. Adriaan Davidse presented on long-term solutions such as renewable energy integration systems that are analogous to the underground network of roots that sustain the plants and trees in a forest. I spent the last several days at the largest cannabis conference to be held in Canada. There were 2,000 delegates and 125 exhibitors from 30 countries at the Marijuana Business Conference and Expo International at the Metro Toronto Convention Centre. In terms of both speakers and exhibitors, the most glaring absence was First Nation or Indigenous content. With just 60 days to go before cannabis sales become legal in Canada on October 17th, now is the time for government and industry to fully and completely engage First Nations who are already involved in the production and sales of cannabis and cannabis related products. This has the potential to become a major revenue stream and employer for First Nation communities. It comes as no surprise that the majority of Canadians polled have indicated they are more interested in consuming cannabis products rather than smoking marijuana cigarettes. When all the illegal dispensaries are shut down, that will leave only First Nation dispensaries to serve those members of the public who would rather consume edibles than smoke cannabis related products. Next month, cannabis will be a major theme at the First Nation Economic Advancement Conference (FNEAC), hosted by the Ontario First Nation Economic Developers Association (OFNEDA) – September 18-20 at the Chelsea Hotel in Toronto. First Nation cannabis producers will be there to tell their side of the story. More importantly, this will be an opportunity for them to demonstrate that their products are safe, and that First Nations can play a major role in the growth of this fledgling legalized industry. (Toronto, August 15, 2018) The 2018 First Nation Economic Advancement Conference (FNEAC) is just over a month away. The three-day event will feature panels, workshops, keynote speakers, and a trade show. The goal of FNEAC is to share success stories and build relationships that will lead to improved infrastructure, wealth creation, and better overall socio-economic conditions for the 133 First Nation communities in Ontario. First Nation leaders, economic development officers, government, business, and industry officials will be in attendance. FNEAC is organized by OFNEDA – the Ontario First Nation Economic Developers Association, in partnership with CANDO, the national economic development officers’ organization, along with support from the CCAB – Canadian Council of Aboriginal Business – and CESO – Canadian Executive Service Organization. Indigenous Services Canada is the major sponsor. Other sponsors include CN, TD, BDC, OFNTSC, LIUNA, and Gowlings. CANDO will host several pre-FNEAC workshops on Monday, September 17th. Urban Systems, a BC-based community planning organization, will kick-off FNEAC with a two-hour “Economic Land Use Planning” workshop on the afternoon of Tuesday, September 18th. Earlier this year, Rainy River First Nation, located in northwestern Ontario, received a Canadian Institute of Planners Award of Excellence for its community plan that was developed in partnership with Urban Systems. aquaculture, trade, and the environment. A draft agenda is available at www.ofneda.com. For the first time at a conference, the Indigenous Infrastructure Investment Trust (3IT) framework for attracting global capital will be presented. The 3IT framework was selected by the judges in the national CanInfra Challenge as a top 10 finalist and invited to present at the Transformational Infrastructure Summit in May 2018 attended by the Prime Minister, Finance Minister, industry and Financial CEOs and indigenous thought leaders. FNEAC 2018 will be held at the Chelsea Hotel, 33 Gerrard Street West, in downtown Toronto. To book a room, visit: https://gc.synxis.com/rez.aspx?Hotel=59052&Chain=10316&start=availresults&arrive=9/18/2018&depart=9/20/2018&adult=1&child=0&group=ONT091818 Or call toll free 1-800-CHELSEA (243-5732) or 416-595-1975 and use the room block code “First Nations Economic Advancement Conference 2018”. Bimaadzwin, an Indigenous organization that provides consulting services on multisectoral issues, could be the first of its kind in the country, according to founder and CEO Isadore Day. He sees his organization as being focused on improving First Nation sovereignty, health, social and economic conditions. Bimaadzwi is Day’s first venture after his term as Ontario’s regional chief ended in June, after losing the election to RoseAnne Archibald. Day was faced with a decision of what to do next after leaving the regional chief’s office, and he decided to continue furthering the interests of First Nations people with the creation of Bimaadzwin. Isadore Day, former Ontario Regional Chief, has founded Bimaadzwin, an Indigenous organization that will provide consulting services on multisectoral issues. The company’s soft launch was Aug. 12, with the official launch coming up Sept. 12. (Photo courtesy of Isadore Day). Although Day does not see Bimaadzwin as a lobbyist organization, and he is not a registered lobbyist, he says his organization could assist First Nations people in their lobbying efforts. Bimaadzwin had a soft launch on Aug. 12, coinciding with the last day of the annual pow wow in Serpent River, the First Nations community where Day was born. The Bimaadzwin website is still under construction and will be complete when the official launch of the organization happens Sept. 12. That date was chosen because it is the anniversary of the Robinson-Huron Treaty, which was signed between Ojibwa chiefs and the Crown in 1850. The treaty allowed for the exploration of northern Ontario, with the signatories from First Nations communities expecting to receive increasing levels of revenue from the sale of natural resources from that land. The treaty was the subject of a lawsuit that began last September, with affected First Nations communities saying individuals are receiving annual payments of $4 from the treaty, which hasn’t changed since 1874. According to Day, Bimaadzwin will provide strategic assessments for their clients and help with facilitation activities, but the actual meetings with government officials concerning issues will be up to them. “We’ll provide information, but it will be up to the leadership or senior management to make those calls,” he said. Day is already hard at work at Bimaadzwin. He’s currently educating the management of a German pharmaceutical company hoping to expand to Canada on the health issues affecting First Nations communities, such as thehigh rate of diabetes in First Nations children in northern Ontario. He is also working with the First Nations Health Managers Association, which Day said is interested in working more closely with the local Indigenous leadership. 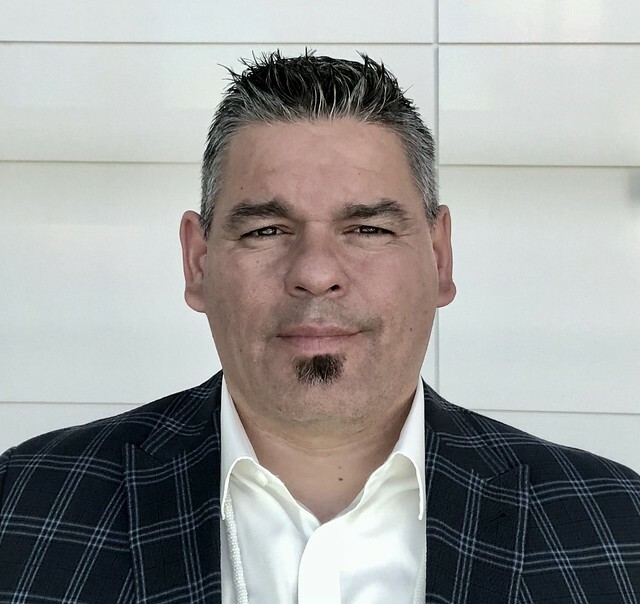 Day has experience in both First Nations politics and health since he is also the former national chair of the Assembly of First Nations chiefs committee on health. Bimaadswin’s staff currently consists of six core members, and another eight associates, according to Day. The company is incorporated as an Indigenous social enterprise. The name of the organization, Bimaadzwin, was chosen because it means life in the Anishinabe language, Day said. “Our work is to create a better quality of life,” said Day. The company symbol depicts two young girls who represent Day’s daughters, Niigaan and Waasayaa standing at Old Woman’s Bay on the Great Lakes. The two girls are looking at a thousand-year-old pictograph of eight ancestors in a canoe. In addition to his former role as a regional chief, Day also worked in construction, commercial fishing, and social services before being elected chief of Serpent River First Nation in 2005. Since then he has served as Lake Huron Regional Chief and has been involved with the Union of Ontario Indians, the Chiefs of Ontario and the North Shore Tribal Council. The anticipated move by Ontario to scrap the LCBO-style public retail model of cannabis sales and replace it with private retailers is welcome news for First Nations, particularly those already involved in the cannabis industry, from production to sales.